Are you thinking about a carpet purchase to renew your space? At Cramers Carpet One Floor & Home, we know you’ll love our vast selection of carpets coupled with our expert flooring professionals. Not only do we provide an extensive collection of carpets that range in color, texture, and style, we are confident that you will find the ideal carpet thanks to our experts. By using our Select-A-Floor™ system, they will help you navigate your way through the types of carpet that are best for you and your application. While some may believe that carpet is a thing of the past, it continues to be a popular option among homeowners. Few other flooring types offer softness and coziness like carpet; it simply cannot be matched. Maybe you’ve seen a carpet that you believe to be the most beautiful, patterned carpet that belongs in your home. While this may be true, it is essential to take into account how the carpet functions with your home. Style is important, but it is also crucial to think about how much activity your home experiences daily to get the best out of your carpet investment. If you have young children or pets, it’s likely that you’ll need a stain resistant or pet-proof carpet. Whatever your lifestyle, the carpet you choose should match with your home. Each type of carpet functions differently depending on how it’s constructed. Weigh the options and keep performance and style on the same level when you decide on a carpet. The types are level loop, patterned, textured, frieze, and plush. 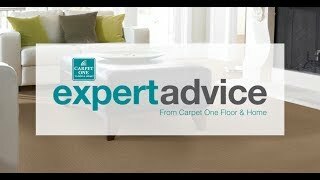 The most traditional areas for carpet are bedrooms and living rooms. However, with the new stain and wear resistant carpets on the market today, carpet can be installed in almost any room in your home. Living rooms, offices, playrooms, and even staircases and hallways can be areas where carpet performs well. As part of the Carpet One cooperative, we can offer brands that you know and love, along with many exclusive brands. Some of our exclusive brands include Tigressá™, and Relax it’s…Lees™. With all of the available options, you are sure to find something you love that is stylish and functional. With carpets constantly improving in technology, it is easier than ever to keep your carpets looking great. Learn more about the recommended maintenance for carpet below. Wondering about the construction of carpet? Level loop, patterned, textured, frieze, and plush carpets all have their unique features.